Puja is a qualified nutritionist from the reputed Lady Irwin College, Delhi. She has had a work experience, spanning over various areas of nutrition, including diet for children and weight management. After having her daughter, Puja developed an interest in paediatric nutrition and worked with a paediatrician on the same. Puja currently heads the nutrition wing at Parentune.com. Swapna's mission is to transform lives. She is an optimist, a dreamer and passionate about igniting a spark in others. A Fulbright scholar, Swapna holds a Masters degree in Counseling and Psychotherapy, and has over 25 years of experience in teaching, counselling and training. She loves travelling, reading and acting. 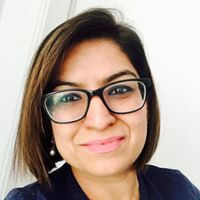 Dr Shipra has more than a decade of experience as a Paediatrician and is currently engaged at Fortis Memorial Research Institute, Gurgaon as Senior Consultant, Paediatrics and Neonatology. She attained her Membership in Paediatrics and Child Health (MRCPCH) from London, UK. She has worked in UK for over 10 years in General Paediatrics. She is the member of Indian Academy of Paediatrics (IAP) & Royal College of Paediatrics and Child Health, UK (RCPCH). 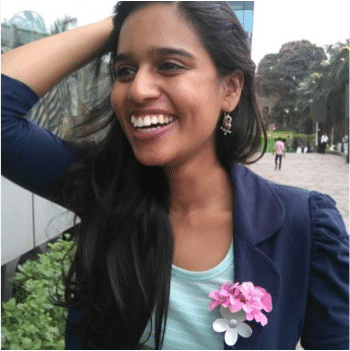 Harlene is a gold medalist with an MSc in clinical nutrition from the University of Mumbai. Over the years she has worked with leading Indian hospitals and is a registered Dietician with the All India Dieticians Association (Mumbai Chapter).She is a diabetes educator, and is passionately working in the area of “child diabetes”. Harlene has been a regular writer for Diabetes Today Journal. She follows what she preaches, and is a perfect role model for following a healthy lifestyle. Dr. Himani is NALS and PALS certified and has an exhaustive experience in neonataology and is also a NRP instructor.Dr.Himani has expertise in Early Identification of developmental delay in children, Neurodevelopmental evaluation and treatment of high risk neonates and normal newborns, Children with developmental concerns like Autism spectrum disorders,ADHD, Learning disabilities, and habit disorders. She is also a Consultant Developmental Pediatrician at Continua Kids ( https://www.continuakids.com ), Paras Hospital and Rainbow Children Hospital. Miss. Huda Shaikh is a Nutritionist, clinical dietitian, health blogger, motivational speaker, healthy recipe designer, a certified diabetes educator by profession and the Founder and Director of Nutribond. Adding on to this she is also the founder of a movement named the period movement, which helps women understand the physiology, psychology and nutrition they need to have during menstruation. She holds a Master's degree in Clinical Nutrition and Dietetics from SNDT University and a Bachelor's degree in Microbiology from Bhavans College, Andheri. She has worked at LTMG Sion hospital as an intern and gained umpteen amount of experience in Clinical Nutrition. Huda has been in this field for the past 3 years and has closely worked with people suffering from various disorders including Diabetes, Hypertension, Cholesterol, PCOD and Thyroid. She has extensive knowledge about weight loss and has designed many healthy recipes. Dr. Kunal Gupta is a pediatric dentist with over 13 years of experience in dental specialty of Pediatric dentistry. He was instrumental in establishing Children's Dental Center, Gurgaon in 2011 which is India's most technologically advanced exclusive dental center for children. He has been a pioneer in using nitrous oxide inhalation sedation routinely, while providing oral health care to children. Dr Surbhi, based in Jaipur, is keenly devoted to child healthcare. The 'parent-child' journey has been her area of interest and she goes that extra mile to provide her assistance and expertise to address specific concerns of parents. She is skilled to answer parent queries relating to growth and development; psychology and behaviour and child nutrition. Ms. Mounika Saride has experience in counseling children and adults with clinical depression, grief, abuse, family, study and work life balance issues. She has conducted various workshops at corporate and educational institutions in Hyderabad, Bangalore and Coimbatore. She is exclusively trained in value additions such as basic NLP Techniques for counseling, Couple Therapy, Cognitive Behavior Therapy, Movement therapy, Genogram ,Transactional analysis (IITA), including Reiki (second level),Past Life Regression, Achieving oneness through higher soul, working knowledge in Emotional Freedom Technique. Nitin is a young leader who has led change initiatives in child development & education. He founded parentune.com with a belief that a proparent community could empower parents to achieve more for their child. He has led parentune to be the most rapidly growing parents community supporting more than a million parents. He believes that the lens to look at holistic child development needs to be broader than just education. To emphasize the importance of parents’ role in a child’s overall development, he embarked on the mission to drive a positive change in child development ecosystem through parentune.com. He is an engineer, a PGP from IMI Delhi and a laureate who was handpicked for the Leadership Program at IIM-B. He has also authored various case studies & case analysis with leading B-schools like IIM A, IIM B, MDI, IMI & Symbiosis. Dr. Sameer Kaushal is a leading eye surgeon from the prestigious All India Institute of Medical Sciences, New Delhi. He has spent considerable time in the Cornea, Cataract, Refractive Surgery Unit of AIIMS gaining expertise in treatment of eye disease especially corneal and paediatric disorders. He has been an active researcher with contribution in teaching and research through multiple research papers published in international journals. He has pioneered new techniques including surgical procedures and minimally invasive treatments. Dr. Sameer has also co-authored books on corneal transplantation, corneal disorders and LASIK surgery. He heads the department of ophthalmology at Artemis Hospital, Gurgaon. Dr. Roma Kumar is a Clinical Psychologist, with over 30 years of experience. She is a Senior Consultant at the Institute of Child Health at Sir Ganga Ram Hospital, New Delhi since 1991 and at Max Super Specialty Hospital Gurgaon since April 2012. She has been recognized by various communities and associations for her influence and growth in the field of psychology in India. Sonali is a leading practicing dentist with a degree in Dental Medicine and Surgery. Her popular clinic owes its success as much to her top skills as a doctor as to her empathising nature, her patients trust her implicitly and feel confident in her care. Agasthya, her 5-year-old son occupies all her free time; Sonali shares his world and believes in being an involved and hands-on mom. Travelling as a family, listening to music are some of the pastimes that help her relax. Dr Vivek Nangia is the Director, Department of Pulmonology, Medical ICU and Sleep Medicine, Fortis Hospital, Vasant Kunj and Fortis Escorts Heart Institute and Research Center, Okhla Road, New Delhi. He is a qualified Pulmonologist (MD Respiratory Medicine) with nearly 20 years of clinical experience. He has done his diploma in Interventional Bronchoscopies from Spain. He is amongst the pioneers to conduct various Bronchoscopic Interventions and Medical Thoracoscopy in Delhi. He is also one of the very few qualified Infectious Diseases Specialists in the entire country, having successfully completed a Diploma in Infectious Diseases from London School of Hygiene and Tropical Medicine first followed by MSc in Infectious Diseases from London University, UK. Dr Deeepali is a dermatologist and laser surgeon. She started her private practice in 2011 after working at AIIMS and Safdarjung Hospital in Delhi as Consultant Dermatologist and with Dr. Jamuna Pai in Mumbai. A self-proclaimed perfectionist, she is a recipient of several National and International awards for her contribution in the field of dermatology. She is also Honorary Dermatologist to the President Estate Clinic, Rashtrapati Bhawan.